An elegant 3 bedrooms villa where modern architecture with exotic touch blends harmoniously. It is located just minutes away from the beaches of Seminyak renowned for their beautiful sunsets but also the equally famous Eat Street with some of the most upscale shops, bars, and restaurants in Bali. You will enter the villa by the living room which opens onto the tropical garden and the pool. On your left is the long bar of the fully equipped kitchen. The villa has 2 large bedrooms and a smaller one that can accommodate two adults. They are all air-conditioned and equipped with LCD TV. The two main bedrooms have ensuite bathroom, one of them even has a beautiful terrazzo bathtub lined by exotic plants and trees where you can relax while gazing at the sky. The lush tropical garden surrounds the magnificent swimming pool where you can cool down and around which you can sunbathe comfortably installed in sunbeds provided for this purpose. You will enjoy all the modern comfort (LCD TV, cable TV, Wi-Fi etc.) 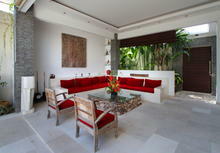 and the tranquillity of the villa will allow you to awaken yourself from the charm of Bali. Halftime maid and 24 hours security guard are available during your stay. Mobile phone with the local number is also provided in this villa. 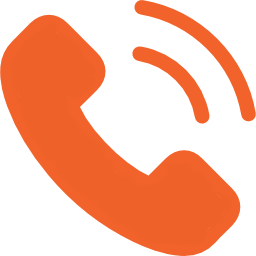 On request, we can arrange airport pickup & drop, car & motorbike rental, day tour, cook, babysitting, baby cot, pool fence, high chair, massage spa, laundry & pressing, florist, food delivery, etc. Beautiful, spacious, well-equipped villas that were nothing less compared to the photos! We really enjoyed our stay there and would definitely keep this place in mind if we ever drop by Seminyak!